Bioinformatics expert David Haussler (above) and graduate student Craig Lowe (below, now at Stanford University) led the study of vertebrate evolution. Over the past 530 million years, the vertebrate lineage branched out from a primitive jawless fish wriggling through Cambrian seas to encompass all the diverse forms of fish, birds, reptiles, amphibians, and mammals. Now researchers combing through the DNA sequences of vertebrate genomes have identified three distinct periods of evolutionary innovation that accompanied this remarkable diversification. The study, led by scientists at the University of California, Santa Cruz, and published this week in Science, focused on regulatory elements that orchestrate the activity of genes. They found three broad categories of evolutionary innovations in gene regulation that increased in frequency during different periods in vertebrate evolution. The first period, for example, was dominated by regulatory innovations affecting genes involved in embryonic development. These changes occurred during the period leading up to about 300 million years ago, when mammals split off from birds and reptiles. 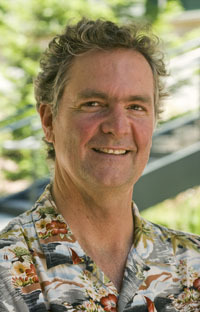 "So many new body plans evolved during this time, it makes sense that the strongest signal in our analysis is for changes affecting genes involved in the development of the body plan and the complex regulation of other genes," said David Haussler, a distinguished professor of biomolecular engineering in the Baskin School of Engineering at UC Santa Cruz and corresponding author of the paper. 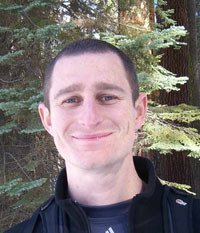 First author Craig Lowe worked on the study as a graduate student in Haussler's group at UCSC and is now a postdoctoral researcher at Stanford University. Many previous studies have shown that important evolutionary changes in animals have resulted from the gain, loss, or modification of gene regulatory elements, rather than from the evolution of new protein-coding genes. "Most of the changes that have happened during vertebrate evolution, as animals acquired new body plans and features like feathers and hair, were not the result of new genes but of new regulatory elements that turn genes on and off in different patterns," Haussler said. The new study identified millions of these regulatory innovations by using computational methods to look for DNA sequences that are still the same in species that have evolved separately over long periods of time. These sequences have presumably been conserved by natural selection because they serve an important function, so most mutations that change them would be harmful to the organism. Conserved sequences outside of known genes are likely to be gene regulatory elements. By comparing the genomes of species whose evolutionary lineages diverged at different times in the past, researchers can see when in evolutionary history a particular conserved sequence first appeared. "These new regulatory elements are evolutionary innovations that have been passed on to all the descendants of the species in which they first arose," Haussler said. "We document millions of these events. We're not sure every one is rock solid, but we have so many that the statistical patterns are unequivocal--these trends must reflect the evolutionary changes that occurred." The results reinforce the importance of gene regulation as a mechanism through which evolution occurs on the molecular level, he said. The findings also provide the first indication of distinct phases in vertebrate molecular evolution, with changes in different types of biological processes dominating during different periods of evolutionary history. Because regulatory elements are typically located near the genes they govern, the researchers assigned each conserved element to the closest gene. They classified the genes into broad categories, such as developmental genes or genes involved in communication between cells, using information on gene functions available through the UCSC Genome Browser. In the first period of evolutionary innovation, in addition to changes affecting developmental genes, the study found a dramatic enrichment in conserved elements near genes for proteins known as "transcription factors," which bind to DNA and regulate whole groups of other genes. New regulatory elements affecting transcription factors peaked in our early vertebrate ancestors 500 million years ago, then declined steadily to background levels by the time mammals evolved. The next trend affected genes involved in cell-to-cell communication, such as genes for "receptor" proteins that sit in the cell membrane and receive signals from other cells. The increase in regulatory innovations near these genes occurred from about 300 million years ago to 100 million years ago and happened independently in the lineages of both fish and animals with "amniotic" eggs (birds, reptiles, and mammals). A third trend showed up in placental mammals during the past 100 million years, when there was a rise in regulatory innovations for genes involved in signaling pathways within cells. These changes tweaked the complex cross-talk between molecules that coordinates all cellular activities. Finally, the researchers took a close look at the well-studied set of genes associated with the development of body hair, a trait shared by all mammals. Several hundred genes are known to be involved in hair formation. "These genes have been around a long time, but if we look at the period about 250 million years ago when hair evolved in the predecessors of mammals, we see a bump in regulatory innovations near those genes," Haussler said. "It's not a stunning surprise, but it's a way of validating the method we used to measure regulatory innovation." This method can be used to look for other evolutionary trends in particular lineages, especially as scientists sequence the genomes of more animals. Haussler, a Howard Hughes Medical Institute investigator and director of the Center for Biomolecular Science and Engineering at UCSC, is a cofounder of the Genome 10K Project, which aims to get genome sequences for 10,000 vertebrate species. With a large number vertebrate genome sequences available for analysis, researchers will be in a position to discover the molecular basis for the evolutionary diversification of virtually all of the large animal species. In addition to Haussler and Lowe, the coauthors of the Science paper include UCSC researchers Brian Raney and Sofie Salama; Manolis Kellis, Michele Clamp, and Kerstin Lindblad-Toh of the Broad Institute of MIT and Harvard; Adam Siepel of Cornell University, a former UCSC graduate student; and David Kingsley of Stanford University. This research was funded by the Howard Hughes Medical Institute, Sloan Foundation, and European Science Foundation.